It wasn’t really the match itself that was the main attraction at the Valley Parade stadium on the 11th of May, 1985. Most of the spectators had turned up for the presentation that came first; Bradford City football club had enjoyed such success that season that they had already secured the Football League Third Division trophy. It was the first trophy the team had won in over fifty years, and it brought more than eleven thousand people to the stands and terraces. There were also TV cameras there that day. The footage they captured would go on to make headlines – but not because of any sporting achievement. 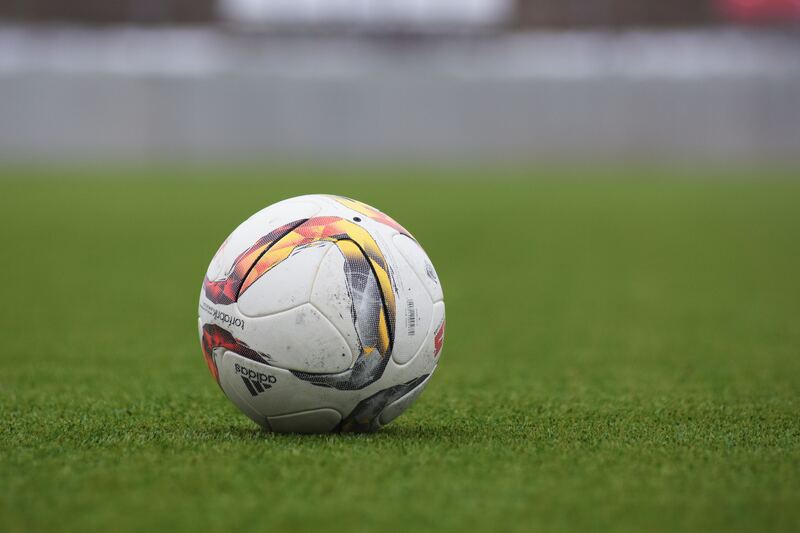 Football – or soccer, for any Americans listening – is widely said to be Britain’s national sport. As such, there’s often fierce loyalty to local teams, even when they aren’t doing that well. 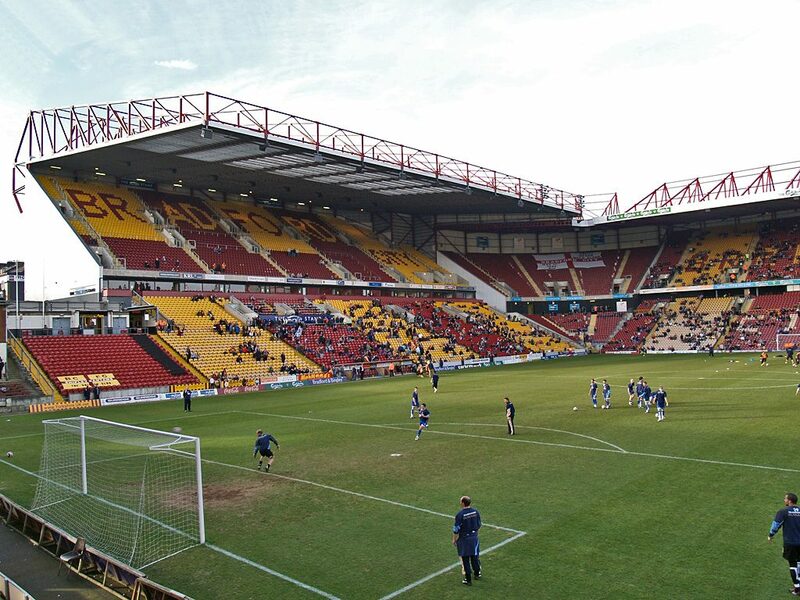 Bradford City football club was founded in 1903, starting off in the Football League’s Second Division. 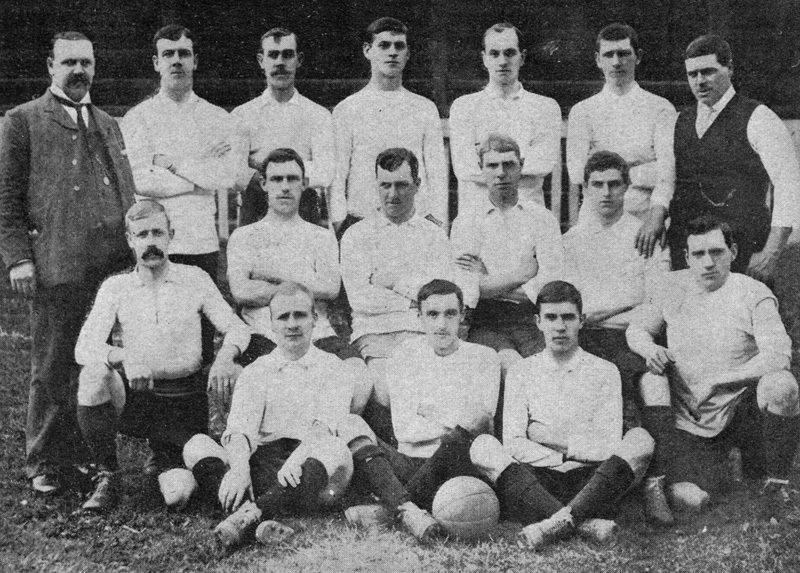 They were promoted in 1908 and won the FA Cup in 1911- however, that was the peak of their success. After relegation in 1922, they wound up drifting between the third and fourth tiers of the league, and suffered severe financial hardships to boot. In 1983, things got so bad that the receivers were called in, the club was put up for sale, and supporters contributed to a fund to save it. It was bought by Stafford Heginbotham, a former chairman of the club, and Jack Tordoff, a former board member. This allowed Bradford City to start a new league campaign, which led up to their successful 1984-85 season. They enjoyed an unbroken run of thirteen winning games, and secured the club’s first championship title since 1929. Throughout this period, they played their home games at the Valley Parade stadium, which got its name from the way it was built into the side of a valley. It was originally built as a rugby ground, and redesigned for Bradford City in 1908, and it hadn’t changed a great deal since then. The Midland Road stand was redeveloped in the fifties and sixties, but the Main Stand was essentially untouched. “Once through the turnstiles of the Main Stand you found yourself in a low, dark, concrete corridor. It was as narrow as a pavement, running the length of the stand. It can’t have been more than four feet across, bordered on the far side by a claret wooden wall, too high for a kid to see over… Each block’s stairwell cut a path down through the seats into what were effectively partitioned-off boxes. There were only two small gaps… so unless you were at the bottom of the stairwells between blocks E and F, or blocks B and C, you’d have to come back up each stairwell to get out again. Still, there were plans for improvement; as they looked forward to their first Second Division matches in forty-eight years, they put forward plans to pull up the timber seats and floor, build new stairwells and gangways, new turnstiles and exits, shops, tea bars, a press room, new seating and terracing and much more. It was a grand plan, and so soon after being forced into receivership it would be an expensive one, taking up the team’s entire budget for the next three seasons. However, on the 11th of May 1985, as fans crowded into the stands to see their team lift a trophy at last, that wasn’t something many of them were worried about. They were just happy to see their team on the up. As their section began to evacuate, Fletcher’s father told him to go ahead. Once in the corridor, however, there was no escaping the human traffic jam caused by the evacuation. At the turnstiles, he held back from the crowd surging ahead, trying to rejoin his family. There was no way out there anyway; the doors were locked. Paul Firth had also been watching from the stands near the fire’s origination point. From near the turnstiles, Fletcher also heard someone shouting instructions to get to the pitch. As he raced down the stairwell, the fire swept overhead. He made it into the lower half of the stand, but the roof here was burning too, and he could see ahead of him a grown man struggling to scale a wall at the pitch side. He didn’t at the time realise that he was on the brink of becoming a human torch. Molten tar from the roof had dripped down onto his jacket, scarf and hat. Another fan grabbed the boy and threw him bodily over the wall onto the pitch. Another took off his jacket and used it to beat out the flames, and others dragged him away from the stand. Meanwhile, Hepton and his grandmother Nellie, 64 years old, had also found themselves jammed into the corridor at the back. An unidentified man pulled them out of the crush and into a kiosk. “It was grey and I could see the pitch for the first time in what seemed like an age. The man who had grabbed us then smashed a window at the front of the kiosk which was going to be our only way out. My grandma picked me up and dangled me over the window ledge and lowered me down towards the seats. He thought his grandmother would be right behind him – but she wasn’t. Although he would later be reunited with his father, who had been sitting in A Block further away from the fire, it was two days before it could be confirmed that Nellie was among the dead. Martin Fletcher was at first reassured by police officers and nurses who told him that everybody had been evacuated, but after two days the rest of his family were also identified by their belongings – his father’s watch and engagement ring, and a scrap of his brother’s jacket which had survived because it had been held so tightly by their grandfather – and by their dental records. 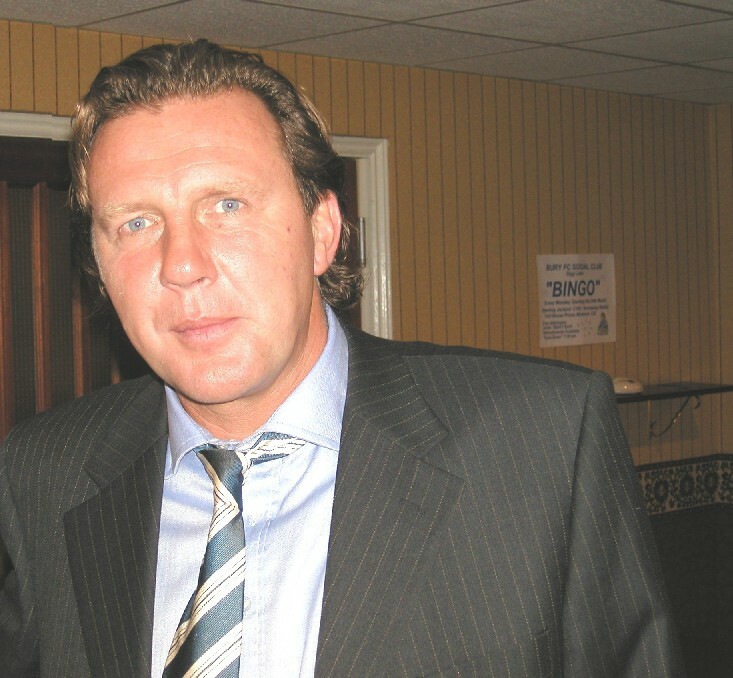 Greg Abbott, who was one of the players that day, recalled being ushered away to a pub with the other players once the firemen had taken over, and there being told at first that nobody had died. Colin Brazier was in the standing area at the opposite end of the main stand to the fire – but that was still close enough for him to be caught up in the panic. As the crowd surged away from the heat, he was wedged against a wall until somebody pulled him over onto the pitch. Unlike others, he was almost immediately aware of the severity of the disaster. “Running towards the centre circle I became aware of two things; an old man gazing out from the centre of the grandstand, standing stock-still, looking out towards me, just before blazing timbers fell and entombed him. He recalled seeing the body of a middle aged lady lying between the goal posts. “I cannot remember her face, but I do remember the way her tights and clothing had warped like burned plastic. Brenda Verity was the sister in charge at Bradford Royal Infirmary that day; she recalled that they received 250 injured people in the space of about five minutes. Some arrived by ambulance, but others were ferried there by any means available. Some even walked. Although the game came to a halt, the cameras continued to roll. This footage can still be found online today; it is graphic and upsetting, but it is also often used in fire prevention training, as a demonstration of how quickly fire can spread. From the moment the camera catches the first glimpse of a flame flickering in the stands, it takes just a minute and a half for the fire to spread throughout the back half of G Block, and the smoke to reach halfway along the stand. One minute and forty five seconds in, the flames start to engulf the roof. Three minutes in, the flames literally consume the entire stand. Black smoke billows high into the air, and many people are obviously injured, including one policeman seen with his head on fire. However, many of the fans on the pitch are still cheering and singing, obviously not realising the scale of the tragedy unfolding behind them. 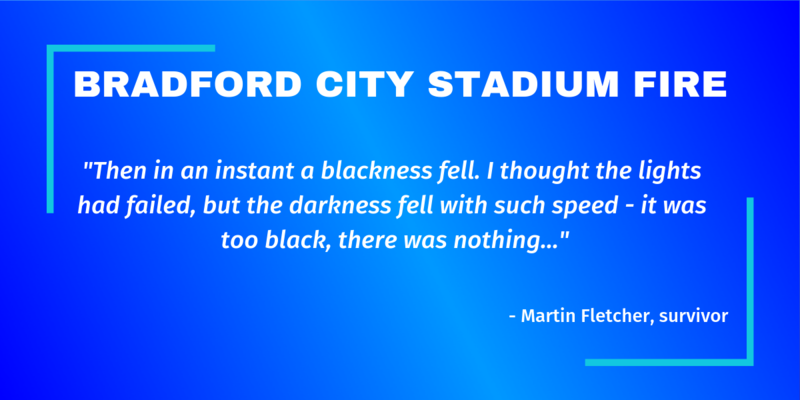 Bear in mind that even Martin Fletcher, who ran through the burning stand, recalled asking someone on the pitch if they thought the second half would start soon. It was simply happening too quickly for people to take it in. Four and a half minutes in, John Helm, commentating for YTV, calls the scene “a burning hell” before the camera turns to the horrific sight of a man fully engulfed in flame, walking slowly away from the stand. Police officers and other fans beat the flames out with their coats and carry him away, but he would later be confirmed among the dead. Five minutes in, you can hear the stand beginning to collapse. Once the fire was extinguished, and all that remained of the stand was charred ruins,thoughts turned quickly to the questions: why had so many died, and how had the fire started in the first place? When the fire began, the police officers who first responded to it seemed to think it would be easily dealt with. They evacuated the immediate area, G Block, into the rear corridor so that they’d have room to tackle it. At this point, everybody thought that they’d soon be back in their seats. However, the speed with which the fire spread took them by surprise. Within mere moments, they were cut off from the pitch, and their options for escape at the back were shockingly limited. According to plans of the stand, there were gates at the rear of G Block. However, nobody in the main stand would expect to use them. According to Fletcher, they were behind a panel door, and provided an exit mainly for the terrace. For this reason, those evacuated from G Block would have turned away from Gate S.
Moving along the stand, away from the seat of the fire, they would pass the entry turnstiles, which were locked as they weren’t intended as an exit. There were also several single exit doors along the corridor, but these had been boarded up at some time in the past. The inquiry heard testimony that one of these doors had recently been unblocked, however the three witnesses who spoke about this each identified a different door, so whether that’s true remains uncertain. The most obvious exit to use would be Gate K; halfway along the stand, this would be where they’d expect to leave at the end of the game. However, it was locked. It was common – and accepted – practice to keep these gates locked until the game was most of the way through, so that people couldn’t sneak in without paying. Many of the victims didn’t make it past this point. Past Gate K, there were more locked turnstiles, further boarded up single exit doors, and eventually, at the back of A Block, Gate E, and at the end of A Block, Gate B, which was the clubhouse gate. Gate E appears to have been the first exit opened. The second exit opened was Gate S, the one at the back of G Block but separated from it; this allowed people in the terrace to exit, but those who’d left their seats in G Block would have already passed it – going back to it would have meant going back towards the fire. It seems to be unclear when exactly Gate B was opened, but it did open, allowing the crowd to exit through three gates. However, the gate that was most important – the gate that should have provided an exit for those in the first blocks consumed by the fire – was the last to open. The inquiry heard from Sergeant Hendrick, one of the police officers on duty that day, that he saw those doors bulging from the pressure of people behind them, and desperate pleas and banging coming from within. Fans alongside him on the outside of the stand said the doors had to come off, and they pulled at the bottom of the doors until they came off their hinges. This, sadly, happened too late for at least 15 people who would later be found dead behind or close to those doors. 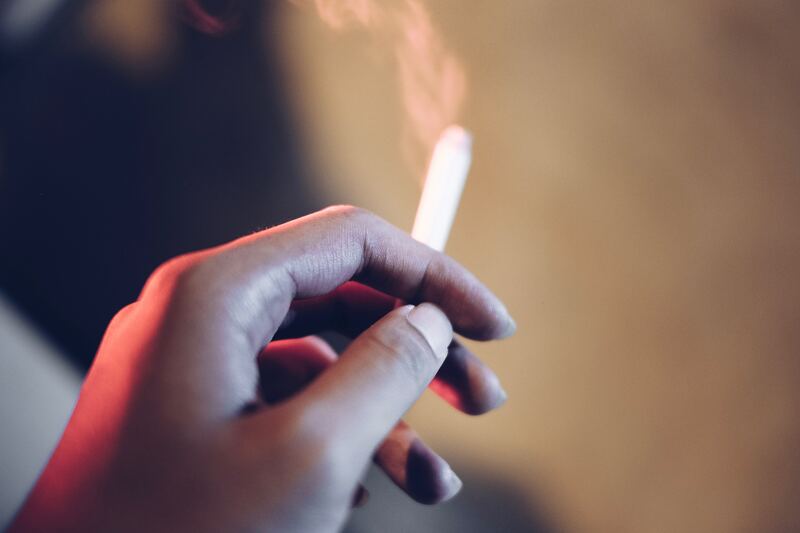 As to how the fire started, despite initial allegations that a smoke bomb had been thrown, it was generally accepted quite quickly that it had been an accident. The stands were wooden, and had plenty of holes in them. In the gaps underneath, rubbish could easily accumulate. Based on photographs taken in the stand, it was possible for investigators to pinpoint where exactly the fire had started. Interviews with survivors identified two men who had been sitting there, an uncle and nephew visiting from Australia. Investigator Raymond Falconer related his eventual meeting with one of those men. He told investigators that he’d tried to put the fire out by pouring his coffee on it, but the smoke returned, and then they saw flames. Authorities demonstrably knew that the stand was a fire risk. A year before the fire, some wood had fallen from the roof of the Main Stand during a match, necessitating repairs. The club had applied for a grant from the Football Grounds Improvement Trust, which required supporting documentation from the local authority, so on the 4th of July 1984 a structural engineer from West Yorkshire County Council visited the ground. The engineer, Andrew Shaw, not only wrote the supporting letter that the club wanted for their grant application, but also a second letter, sent to the West Yorkshire deputy fire prevention officer as well as the club. Thirty years after the fire, speaking to a BBC reporter, Tordoff claimed that they hadn’t been aware of these warnings; he said that they’d been sent to the previous board. However, the date on the letter indicates that this isn’t the case. 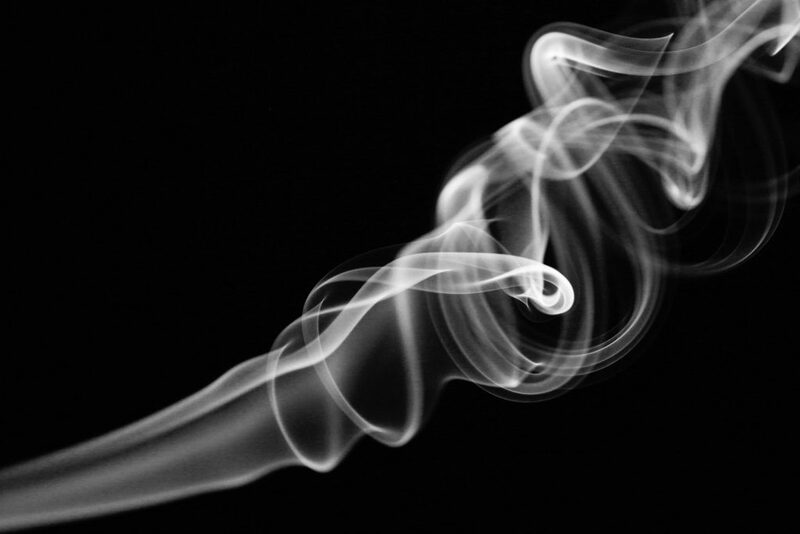 Although the accidental cigarette theory is officially accepted, not everyone was convinced. Martin Fletcher put forward some compelling arguments for an alternate explanation in his book. On the 31st of May 1985, journalist Paul Foot wrote an article in The Mirror with the headline, “FIRE JINX IN BRADFORD”. In it, he stated that, “at least five fires have damaged premises owned by or connected with Mr Heginbotham or his companies”; one, in November 1977, had resulted in an insurance payout of £174,663 for fire damage and loss of profits. Thirty years after the fire, and after the publication of Fletcher’s book, a BBC report noted that in total eight such fires had occurred between 1967 and 1981. Fletcher doesn’t actually go so far as to make any specific allegations, and Stafford Heginbotham, who passed away in 1995, was never charged with anything in connection with any of those fires. His family called the suggestion ridiculous and diabolical. However, the implications are clear. One fire is bad luck; but nine? Even if you take the view that they were all coincidence, you might think that a man with so much personal experience of fires should perhaps have paid more attention to the warnings the club received. The idea that the fire could have been deliberate, at a time when the team was on the up, may seem counter-intuitive. The thing is, their success was about to be very expensive, and this comes down to the state of the stadium, the regulations in place at the time, and their long-awaited promotion back to the Second Division. Any venue designated as a large sporting ground under this Act had to have safety certificates that showed it was in line with the recommended practices in The Green Guide, formally known as The Guide to Safety at Sports Grounds. The Valley Parade stadium could easily hold more than 10,000 people; they had played for 23,000 fans during the FA Cup season of 1970. However, ten years after the introduction of the Safety at Sports Grounds Act, the Main Stand at Valley Parade didn’t meet those standards. It hadn’t needed to; it was still undesignated. 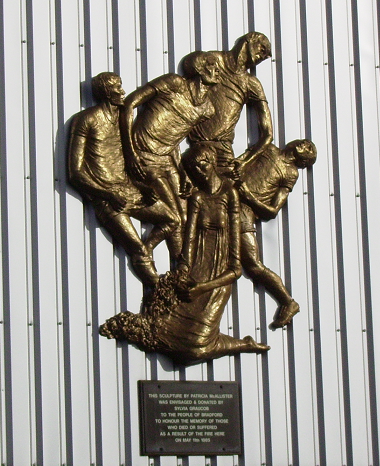 The Act was intended to be phased in to allow clubs time to finance improvements; by 1979 it applied to all First and Second Division football grounds. However, changes in government had delayed its extension, and at the time of the fire in 1985 it still hadn’t been extended to third division clubs like Bradford City. Their promotion to the Second Division, therefore, meant things were about to change; the Act was about to start applying to them, and their stadium would be designated. The improvements needed to get those safety certificates would be very expensive, the local authority could insist that they were made before the next season began, and it doesn’t seem clear how they would be able to finance it. They had, after all, been in receivership less than two years before. Just one year before the fire, they’d appealed – unsuccessfully – for local companies to advertise on the stand’s roof to pay for its repairs. It was only after that failed that they got the council’s structural engineer to support their grant application to cover those costs, resulting in the letter I mentioned earlier. In the aftermath of the fire, the main stand at Valley Parade was completely rebuilt – and it was largely public money that paid for it. West Yorkshire Metropolitan County Council gave the club £1.4 million pounds, and they received further funds from the Football Trust and their insurer. In total, they actually received £200,000 more than they needed – and an awful lot more than the £400,000 that had been mooted as the original cost of the necessary improvements. Fletcher also points out that the investigation into the fire appeared rushed. On the 13th of May – the first working day after the fire – the then Home Secretary Leon Brittan announced that there would be an inquiry, to investigate the Bradford fire jointly with another incident which had happened the same day at a Birmingham City match, where a collapsing wall had killed one fan. However, the inquiry, under Sir Oliver Popplewell, would commence just thirteen working days after the forensic search of the site was completed, leaving little time for in-depth analysis, and it took just five and a half days to hear the evidence. The inquiry resulted in a ban of new wooden stands at British football grounds, the immediate closure of a number of stands considered to be unsafe, and a ban on smoking in other wooden stands. But it didn’t hold anyone responsible. In July of 1985, an inquest into the deaths at Valley Parade returned a verdict of death by misadventure. This meant that, although the families did receive compensation, no individuals were really held accountable. In 2015, after Martin Fletcher’s book was published, there was a call for a new inquiry. However, the Independent Police Complaints Commission ruled that out, saying that there was “no indication of potential misconduct by individual police officers”. In the end, the Bradford City Stadium fire was the result of a litany of missed warnings. It was clear that the stand was a fire risk; the club and local authority clearly knew that it needed improvements, even the fans who filled it could see the danger. This was all somehow ignored, put off, filed as something to sort out later. The safety of spectators in the sports grounds of the lower divisions was just not made a priority until it was too late. Unfortunately, the focus remained on the fact that it was a wooden stand that had caught fire, with little attention paid to the difficulty of evacuating the stands quickly in an emergency. Four years later, Martin Fletcher had become a season ticket holder for his new home city’s team, Nottingham Forest. That brought him to Sheffield for the FA Cup Semi-Final against Liverpool at Hillsborough Stadium. There, he found himself once more a witness to catastrophe, unable to do anything as 96 people were crushed to death in the stands at the opposite end. They were unable to escape, because of the high fences which penned them in. and to all of you for listening and reading.